Warren Nebe is the director of Drama for Life. He is a theatre director, senior lecturer, a HPCSA and NADT registered Drama Therapist and a Fulbright Alumni. He is also the managing director of Themba Interactive – Initiatives for Life. His research focuses on identity construction, representation and memory in South Africa through an auto-ethnographic theatre-making approach. This research is articulated in the Transformation Project supported by the Wits Transformation Office and Carnegie Corporation. Notions of identity are explored in two theatre productions, ID Pending and Hayani, under his direction. Warren is also a research member of the Wits School of Human and Community Development, Apartheid Archives Research Project. His other research focuses on how an integrated drama and theatre education, therapy and activist approach can foster capacity development in HIV/Aids and Human Rights education throughout Africa. He curated the SA Theatre Season in 2010, Honouring the Archive: Theatre, Memory and Social Justice, and again in 2011, titled: SA Theatre Season: The Personal Archive: Diversity in Conversation. He is currently working on a Facebook Performance Project exploring race, identity and culture in a cyber dialogue. Hazel Barnes is a senior research associate in Drama and Performance Studies on the Pietermaritzburg campus of the University of KwaZulu-Natal. She is also a Mellon visiting scholar at the University of Cape Town and consultant and member of the Research Committee of Drama for Life and visiting lecturer, Division of Dramatic Arts, Witwatersrand University. She has a particular interest in Applied Drama for healing and development but has also directed and acted. Kennedy Chinyowa is currently the head of the Division of Dramatic Art and senior lecturer in Applied Drama and Theatre at the University of the Witwatersrand in Johannesburg, South Africa. Previously, he was a postdoctoral research fellow in the Department of Drama and Performance Studies at the University of KwaZulu-Natal (2006 – 7) and the Department of Drama and Film Studies (2008) at Tshwane University of Technology. He has taught at several universities including the University of Zimbabwe, Griffith University (Australia), and University of KwaZulu-Natal (South Africa) and Tshwane University of Technology (South Africa). He was a visiting scholar in the Centre for Applied Theatre Research at Griffith University where he obtained his PhD degree in Theatre for Development. He has won numerous research awards such as the American Alliance for Theatre in Education’s Distinguished Thesis Finalist Award, Griffith University’s Postgraduate Research Scholarship, the International Postgraduate Research Scholarship and the University of Zimbabwe’s Staff Development Fellowship. In addition to presenting several papers and workshops at international conferences, he is published widely in books and refereed journals such as Research in Drama Education (UK), Studies in Theatre and Performance (UK), Drama Research (UK), Nadie Journal (Australia), Literary Criterion (India), South African Theatre Journal and Alternation (South Africa). Candice Steele (nee Levieux) is a programme manager in the Knowledge Fields Development directorate at the National Research Foundation, where she is also the research manager of the South African National Antarctic Programme. She holds a Master's degree in Social Science, which she obtained in 1998 from the School of Environment and Development at the University of KwaZulu-Natal. Her career has been largely in the broad sphere of development, with a particular focus on HIV/Aids. She is also a graduate of the Wits School of Arts, having completed a postgraduate diploma in Arts and Culture Management in 2007. Dr. Petro Janse van Vuuren has worked in the intersection between applied theatre and community/organisation development for the past 16 years. She has a PhD in Drama and Performance studies and uses her art to craft organisation training and development processes. She is also an executive coach, certified by the Gordon Institute of Business Science. Petro is a researcher and lecturer at Drama for Life, Wits university. Her research interests include the value of, and adaptation needed for, doing embodiment processes online; the characteristics and challenges of creative research practices – specifically engaging in applied theatre and drama as research enquiry; and the effectiveness of strategic narrative embodiment (SNE) for designing sustainable social change interventions in organisational settings. Sustainable change, for her, means a humanised transformation process where all the voices in the organisation have been heard and listened to ensuring a systemic shift that is not top down. She has run successful projects with Mediclinic, Discovery Health, the Shanduka Group, Sanlam Investments and British American Tobacco among others. Petro is a contributor to conferences, journals and books both in applied drama and in organisation development. Tamara Gordon-Roberts attended Rhodes University where she completed an undergraduate degree in Drama and Psychology, graduating in 2004. In 2005 she completed her Honours, specialising in Drama in Education; Dance Culture and Education; Contemporary Performance; Theatre Studies and Physical Theatre. Whilst specialising in Drama in Education, under the supervision of Alexandra Sutherland, Tamara facilitated Process Drama workshops within a variety of Grahamstown’s private, government and township schools, at the Provost Prison and at the Kuyasa Shelter. These workshops combine dramatic and creative techniques within the curriculum to encourage participants to approach the learning experience from new and exciting perspectives. On leaving Rhodes University, Tamara assumed a junior teaching position in the Drama Department at St Stithians Boys’ College in Johannesburg (January 2006 to December 2007). In this position she was responsible for teaching drama theory and practical for Grades 8 to 10, and formulating and facilitating physical theatre and movement courses for Grades 8 to 12. In addition to this Tamara structured and developed the Twananani Community Project at St Stithians Boys’ College. In her role as project co-ordinator she structured a weekly programme to encourage students from the Boys’ College to cross cultural and language barriers and connect with children from Twananani Pre-School through art and drama. 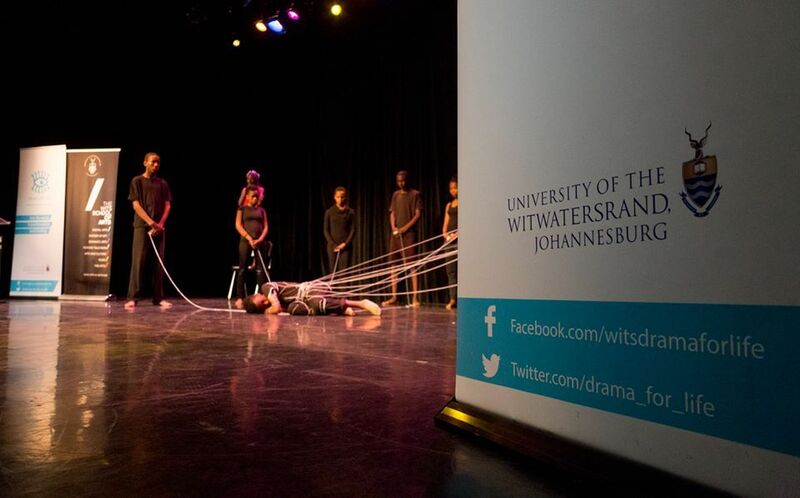 In 2006, Tamara assumed a part-time position in the Dramatic Arts Division at the Wits School of Arts, where she lectured Process Drama, working to develop a network of schools for practical placements, facilitating these placements, and guiding the development of the students’ process drama practice. In 2008 Tamara’s lecturing extended into the Drama for Life programme and she co-ordinated Africa’s first Applied Drama and Theatre Conference. Later in 2008, Tamara began her Master's degree in Drama and Movement Therapy (Sesame) at the Central School of Speech and Drama, University of London. Having completed her Master's degree, Tamara has rejoined the Dramatic Arts Division and the Drama for Life programme. Prof Marié-Heleen Coetzee is head of the drama department of the University of Pretoria. She lectures in somatics, movement pedagogy and applied drama/theatre. Her current research centres on drama/theatre-based pedagogies and performance praxis. She has presented at papers and workshops at national and international conferences, contributed scholarly publications and directed/choreographed productions on various platforms.